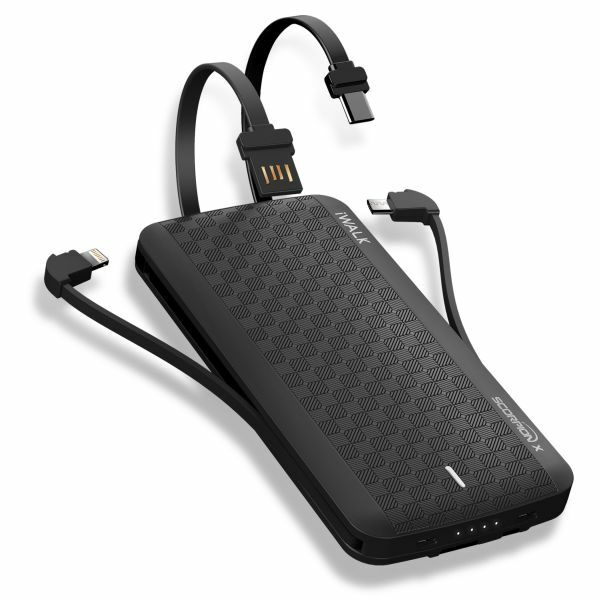 The iWalk Scorpion8000X is a convenient 8000mAh power bank with four built-in cables: Lightning cable, micro USB cable, USB-C cable and USB charging cable. With the built-in USB charging cable, the Scorpion X can easily be charged without an additional charging cable. All built-in output and input cables of the Scorpion X are fitted with pass-through technology, which allows the power bank to be used as a complete charging cable between devices and a charger. 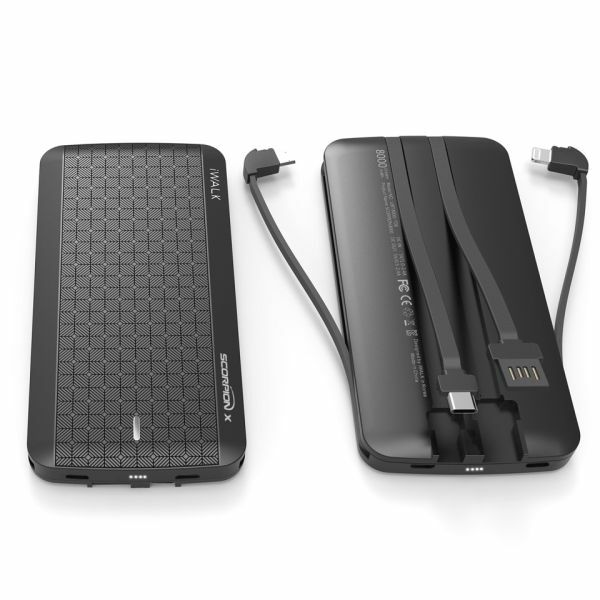 Through the pass-through technology, the power bank and up to three devices simultaneously can be charged. On the front of the Scorpion a status indicator is incorporated, which shows how much power is still available in the power bank. The 8000 mAh power bank is MFI certified and ideal for charging iOS devices.